Those that say “The wind never blows in Oklahoma” have never been there and if they have been, they never went outside!!!! 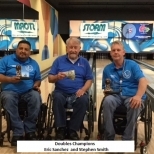 Great weather for 4 days in Shawnee, Oklahoma welcomed 25 bowlers to participate in a great tournament put on by the Mid America Chapter of the PVA. Scott Ellis, Executive Director, served as a strong organizer of the event keeping everything flowing each day. Doubles competition began on Thursday with 11 teams vying for the championship. 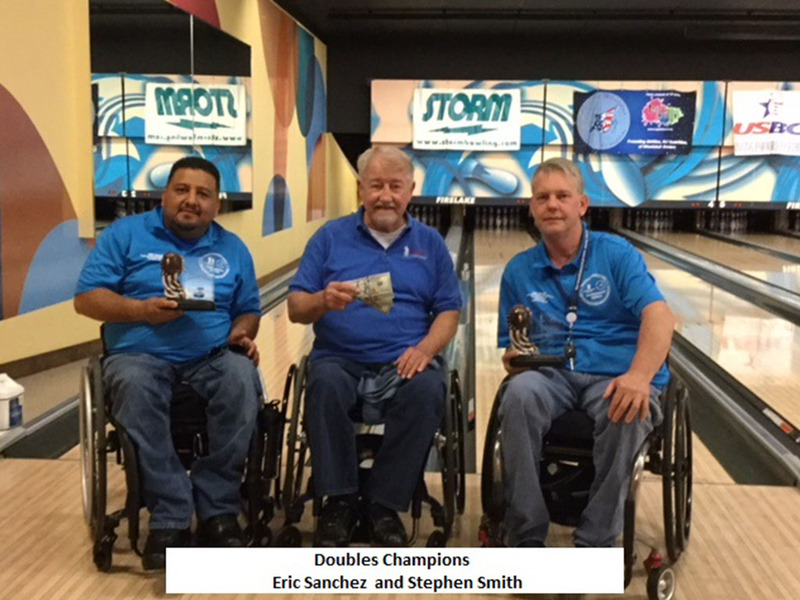 After 6 games, Stephen Smith and Eric Sanchez, both of Texas, won the event with Gary Ryan and Kenneth Hill coming in a close second. Great time had by all. Thursday evening a number of the bowlers tried their luck at the tables at various casinos in the area. 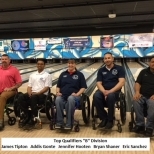 Friday began the Singles competition and the lanes were challenging but fair to all. And there were some great scores bowled over the 3 days of competition. 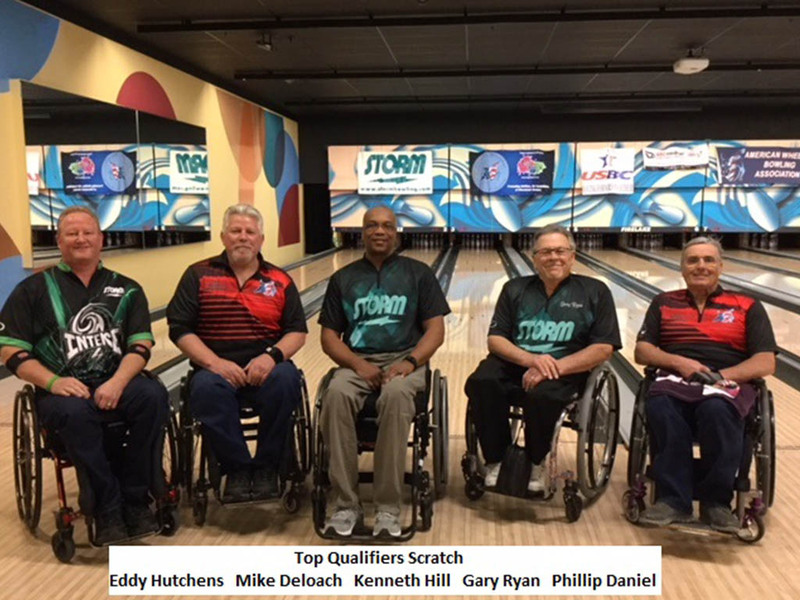 In the Scratch Division, Gary Ryan took on Phillip Daniel with Phillip losing in a tough loss missing he 4-7 to give Ryan the win. Ryan then took on Kenneth Hill and after 10 frames, they tied. In the 2 frame roll off, Ryan was the winner by 2 pins. Ryan then took on Mike DeLoach with DeLoach taking down Ryan in a close match. 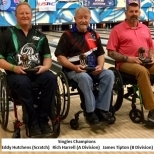 DeLoach then took on fellow Colorado resident Eddy Hutchens for the Scratch Division Championship. 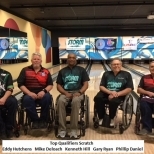 In the end, Hutchens closed out DeLoach with a strong 10 frame to take the title. 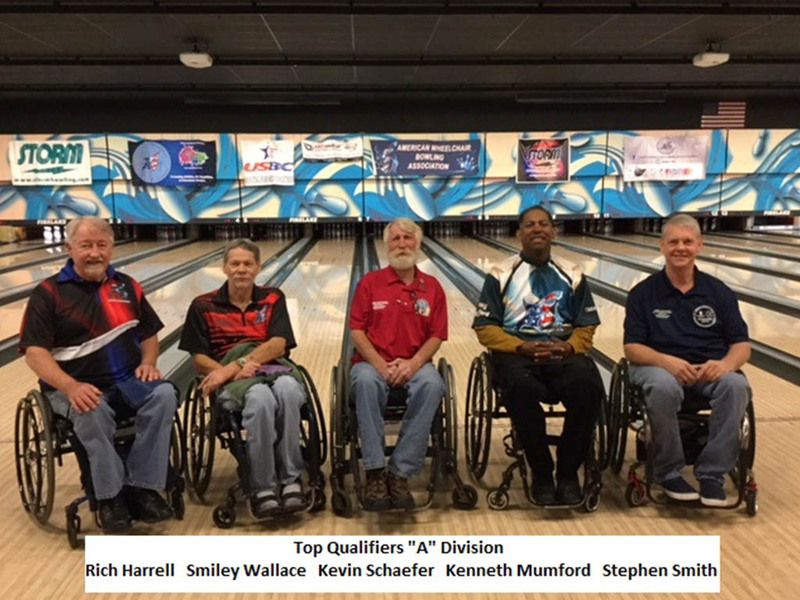 In the “A” Division Stephen Smith took on fellow Texas Kenny Mumford with Mumford prevailing. Mumford then took on Californian Kevin Schaefer with Kevin coming out on top. Kevin then took on roommate Smiley Wallace with Smiley ousting Kevin. Smiley then took on top qualifier Rich Harrell. 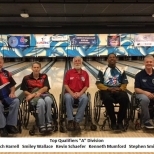 Rich took out Smiley in a great match and claimed the “A” Division title. 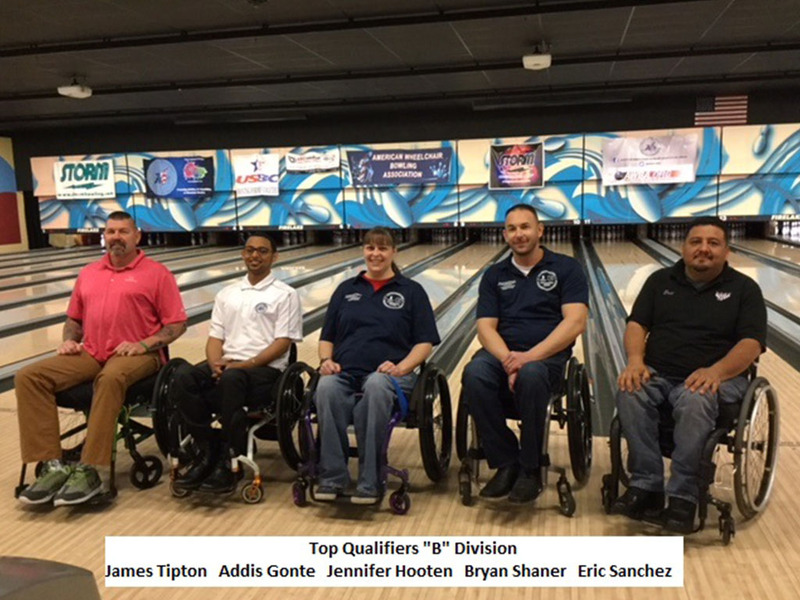 In the “B” Division, the qualifiers were Jennifer Hooten, Eric Sanchez, Tip Tipton, Mark Linquist, and Addis Gonte. 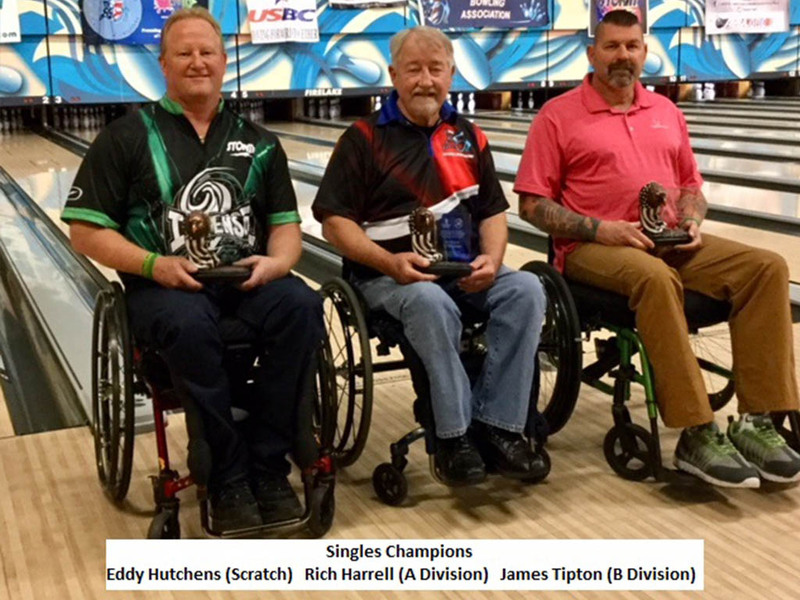 In the end, Top qualifier Tip Tipton took on Eric Sanchez in a great match with Tip winning out and claiming the Division championships. Great bowling by all. The Friday night event was good and while it got started a little early due to a confusion on the start time, all had a great time. The Fire Lake Center manager stated that since she now knows how it works, next year they will fill the house with bowlers. 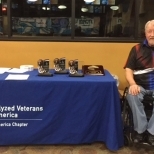 Others that participate were Ivanhoe Richey, Daniel Connelly, Gary Poole, Dan Spotts, Gil Herrera, Kavin Monroe, Larry Chrislip, Mike Galloway, and Billy Campbell. 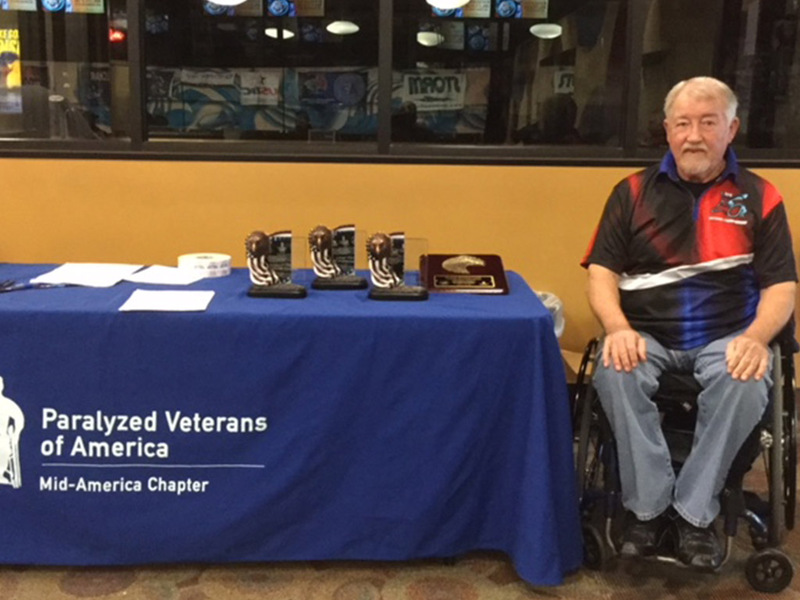 I want to thank all the volunteers that helped with the tournament along with Storm, National PVA, and Logo Infusion for their sponsorship. Without volunteers and sponsors this doesn’t happen. Want to extend thanks to Scott for his hard work and Fire Lake Bowling Center for doing all they could to make sure all had a great time. So, we look forward to next year with more bowlers, great weather, and the friendship that bowling brings to all of us. Thanks for coming.